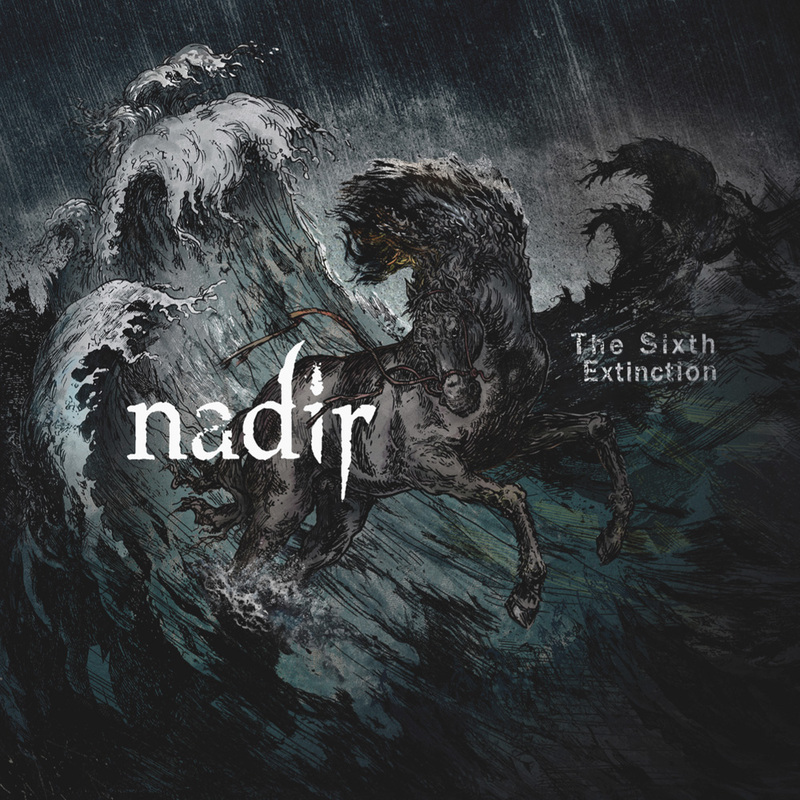 In the early 90 something's doom/death metal band Nadir had been founded and since have gone on to do what any other artist or band has done when making music. Make music of course, including their most recent efforts to date titled "The Sixth Extinction". This album comes in the form of several tracks, that pack in that progressive tone with such energy the force is overwhelming at times. Like take for instance such tracks as "The Human Predator", "Fragmented", "Mountains Mourn", and "Les Ruines", all of which bring forth this packing punch of energy it is unbelievable. The pacing of the music, really drives the music in full, exposing a delivery unlike any other. No other way to describe the music other than those saying's really. If you partake in the heaviness that is doom metal mixed in with some good old death metal vocalization, then Nadir's album "The Sixth Extinction", is a hitter like no tomorrow. You get an angst of heaviness, catchiness, with overflowing grips of endlessly material. That is how this album and its accompanying act do things, with their variation of music, it makes it sound nice.